Roll for the ultimate win! One of the most popular dice games of all time has been Yatzy. The simplicity of having to roll different combinations of dice appeals to a lot of people. 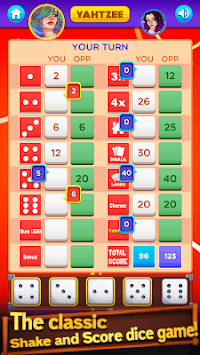 Throw and sort the 5 dice in this classic Yatzy with Friends game. The object of Yatzy with Friends is to score the most points by rolling five dice to make certain combinations. Yatzy is also popularly called Yatzie, Yatzee, Yachty, Yathzy and Poker Dice. It is played with 5 dice. Each player’s turn consists of rolling the dice up to 3 times in hope of making 1 of 13 categories. Examples of categories are 3 of a kind, 4 of a kind, straight, full house, etc. Each player tries to fill in a score for each category, but this is not always possible. When players have entered a score or a zero for all 13 categories, the game ends and total scores are compared. You can also create Private Room and invite your friends to play. Play with your Facebook friends or with millions of dice players around the world. This classic game is fun for all ages. 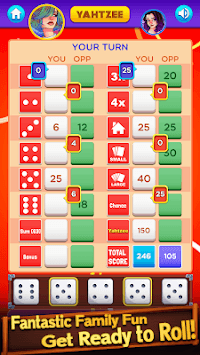 Roll the dice, create combinations, and earn the highest score to win. Such a great way to work on probability, counting, addition, reasoning, and strategy skills. Yatzy is a simple game. But there’s something compulsively fun and addicting about it. It does provide a great gameplay experience. Give it a roll and find out why millions of people have played this classic family game for over 50 years! Unique combination of luck and strategy makes every game an exciting challenge. Trust your luck as you roll the dice in a fun-filled game of Yatzy with Friends. 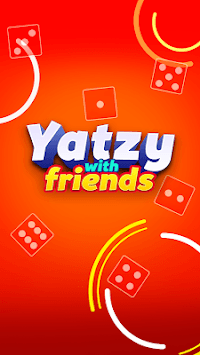 Download Yatzy and play with friends or challenge new opponents from around the world in Dice with Friends! No matter which way you roll, you have to admit that dice are here to stay. Pick up your shaker and dice and prepare to shout ‘Yatzy’! Please Rate and Review Yatzy With Friends, we aim to make it one of the best board games out there on the store.